Strasbourg is the archetypal European city, making it the natural choice to host a large-scale space event during France’s turn at the helm of the EU presidency. This operation will be taking place in the city centre from 22 October to 5 November. Strasbourg is a thriving city with a vibrant culture, so CNES had no trouble persuading the city council to take part in this original and unprecedented effort. The focal point of the event will be the city’s most popular square, with its statue of General Kléber casting a benevolent eye over proceedings. 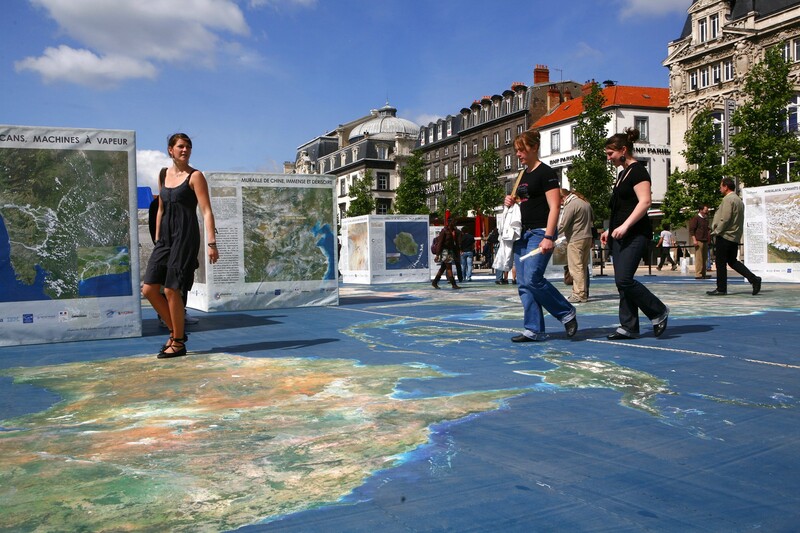 Place Kléber will be decked out with a giant planisphere measuring more than 800 sq.m., revealing our diverse and yet fragile planet. An exhibition entitled “The future of planet Earth: is the die cast?” will feature oversize dice evoking a range of themes related to climate change, seen through the eyes of satellites. A second exhibition will show satellite images of Europe’s 27 capitals from the SPOT 5 satellite. A vast marquee will be the venue for a show highlighting the wondrous spectacle of the Earth and solar system viewed from space. Under a partnership between the U.S. National Oceanic and Atmospheric Administration (NOAA), NASA and CNES, a large video sphere will be making its debut in France, projecting pictures of the oceans and atmospheric and climate data. At the click of a mouse, the sphere will turn into the Moon, Sun, Mars or Jupiter. Science on a Sphere will be on show in Strasbourg under a partnership between CNES and NOAA. Source: NOAA. Around this central feature, interactive multimedia presentations will offer visitors a fun way to discover the rich variety of space activities through 100 short films, photos and real-time 3D animations. The two-week event will also include science cafés organized jointly with the Université Louis Pasteur and entertainment for kids. 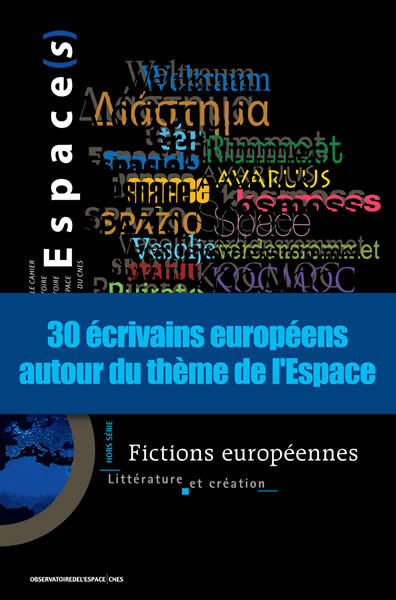 CNES challenged authors from all member states of the European Union to write a short story on the theme of Europe and space. Published in the authors’ native language and in French, their creations symbolize what a cultural model like the one backed by CNES can achieve in Europe. Over the last eight years, the Observatoire de l’Espace, the agency’s cultural arm, has nurtured this model through literary reviews, partnerships with national and European museums, exhibitions and more besides. On 22 and 23 October, several events will be showcasing its efforts to accompany the release of the Fictions européennes collection. Place Kléber, 11.00 a.m. to 6.00 p.m.
Place Kléber, open round the clock.